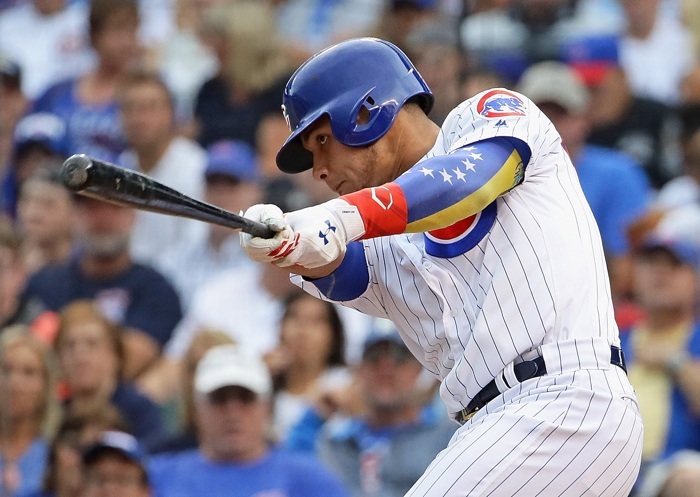 Willson Contreras is Ready to Rebound in 2019, But What Is It Going to Take? 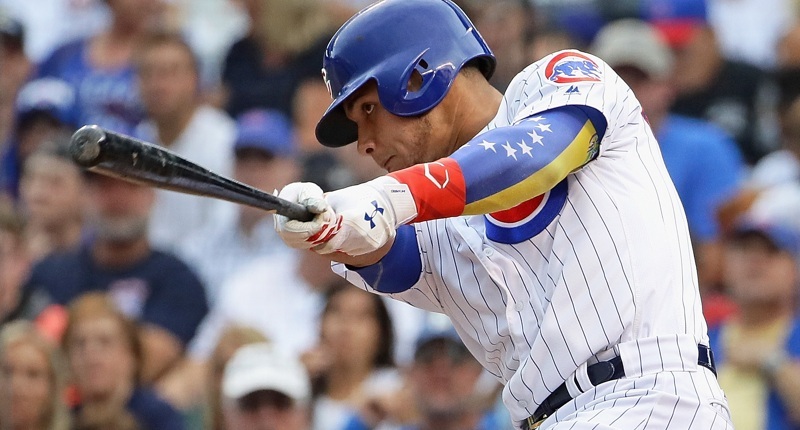 Despite a justifiably high volume of questions surrounding … well, almost every key Cubs’ offensive contributor, Willson Contreras is the guy I keep coming back to this winter. I can’t quite nail down exactly why that is, but I think it has to do with his pre-2018 status as the soul of the Cubs core, in a tier otherwise occupied only by Kris Bryant and Anthony Rizzo. That’s not to say we didn’t believe in guys like Javy Baez or Kyle Schwarber, but Contreras had pretty clearly elevated himself to a new level, vis a vis the rest of the squad. Indeed, after his promising debut in 2016 (126 wRC+), Contreras’s 2017 season felt like something close to confirmation. He finished the year with a 122 wRC+ (which is just superb for a catcher), and teased us with an absolutely dominant stretch just after the All-Star break, which pushed our visions of the ceiling even higher. Seriously: Do you remember just how insane that stretch was? In 100 PAs from the All-Star break until that hamstring injury against the Giants, Contreras slashed .311/.380/.700 (174 wRC+) with 10 homers and 29 RBI. He added another 50 plate appearances (125 wRC+) before the season ended, and although they weren’t quite as good, it was still an impressive end to the year: 157 wRC+. 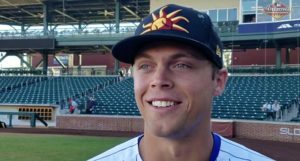 It really seemed like, absent the injuries, he was becoming a fundamentally different, better hitter. But here’s the thing I think we all too easily forget: That production didn’t end with the 2017 season. In the first-half of 2018 – the half that got him elected to the All-Star Game – Contreras slashed .279/.369/.449 (123 wRC+) with 7 homers, 19 doubles, and 5(!) triples. Perhaps, more importantly Contreras was walking 10% of the time and striking out only 20.8%. On the production side of things, he was still really, really good. And then all the fun ended. In the second half of the 2018 season, Contreras fell off the map. Over 203 plate appearances, Contreras slashed .200/.291/.294 (62 wRC+), which, for reference, is about 10 percentage points worse than Jason Heyward’s brutal first season in Chicago. 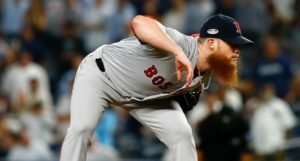 He was still walking with some consistency (9.6%) and even his strikeout rate, while higher than normal, wasn’t out of control (24.6%), but his power had completely vanished (.094 ISO) and he managed just 11 extra base hits the rest of the way. Needless to say … woof. 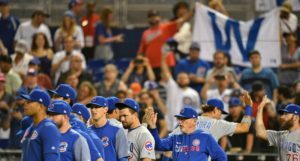 Contreras discussed his second half and entire 2018 season with Jordan Bastian at Cubs.com, and it’s a read very much worth your time. There’s not a ton of ground-breaking stuff in there, but it’s always interesting to get the player’s perspective on his own struggles, to see where his head’s at heading into next season. Some are quick to dismiss fatigue as an excuse for certain position players underperforming at the plate or in the field – and maybe, in some cases, that’s a fair criticism – but for catchers, that’s just not going to fly. Being well-rested and fully healthy is important for all hitters, and extremely hard to maintain for catchers. Their bodies simply take the sort of beatings and grind shared by few others on the diamond, and as Bastian confirms, Contreras’ volume was even more than most see. 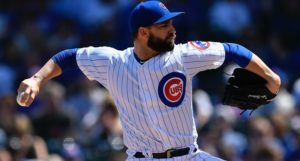 Throw in the fact that the Cubs’ late schedule last year was especially rough, it’s not hard to imagine the combined impact – as well as some natural struggles/development – really dragged down Contreras’s performance. So, if you believe in the talent, then, with more rest and a more balanced schedule next season, Contreras would be a good bet to bounce back from his second-half struggles of last year. Again, remember: his 2016 debut, full 2017 season, and first-half of 2018 all suggest he’s among the game’s best offensive catchers. Don’t let 200 rough plate appearances completely wipe that from your memory. Contreras’ seemingly anti-launch-angle position here, a year after his productivity was crushed by an inability to hit the ball hard, is a little strange, right? We know he was working with an anti-launch-angle coach in Chili Davis, and it’s not like Contreras has ever been much of a “high launch-angle” guy, anyway (and maybe he shouldn’t be), BUT I think that will be something to track in 2019, because even the most successful low-launch angle guys never found themselves at Contreras’ depths in 2018. Among the 332 players with at least 150 batted balls in 2018, Contreras’ average launch angle (6.8 degrees) ranked 293rd. For a little perspective, Anthony Rizzo’s 14.5 degree average ranked 106th in MLB. Indeed, his launch angle got worse and worse as the season went on. From the All-Star break on, Contreras’ 2.3 degree average was the 6th worst among the 246 batters with at least 100 results and Jordan Bastian writes that it shrunk all the way down to just 0.5 degrees(!) during the season’s final two months. Obviously, no matter how anti-launch angle you want to be, that’s not going to cut it – and Contreras’ 57.9% ground ball rate in the second-half of the year speaks volumes (4th worst among all players with at least 200 PAs). To be sure, we’re not saying Contreras is wrong and needs to start trying to hit more fly balls for fly balls’ sake, specifically. Instead, it could be that the way launch angle was implemented with him actually made him worse in that regard. Guys want to hit the ball hard in the air. How you get them there – calling it “launch angle” or whatever you want – is what matters. Let’s not read too much into a tweet. That said, there is clearly room here for improvement. You can’t hit the ball on the ground as much as Contreras did and still have success, especially if you aren’t hitting it particularly hard. Contreras is not a super hard contact guy anyway (career 31.9% hard-hit rate), but it seems like there can be some improvement there, too. So, perhaps if there is some attention to – again, call it whatever you want – Contreras’s path to the ball, he can generate a little more consistent hard contact, and a little more hard contact in the air. For whatever it’s worth, by the way, don’t sweat that low hard% too much. Anthony Rizzo’s career mark (33.3%) is right around the same level and he’s enjoyed a wonderful career at the plate. And if we’ve learned anything from the relative failures of Starlin Castro and success of Javy Baez, letting guys be themselves at the plate tends to be more successful than a one-size fits all approach, even if that approach is well-founded. So what are the keys to success for Contreras, and, by extension, his new hitting coach, Anythony Iopace? Perhaps a little more attention to the angle of his batted balls. And if there’s even a subtle improvement in that area, I think more rest and some natural, positive regression will take care of the rest. Before too long, Contreras might well be right back up there at the top of the leaderboards.